Debates about traffic congestion today echo fights from the 19th century about how to manage sewage in the city. In these ways, today's congestion is a lot like last century's sewage. Gridlock contributes to hundreds of premature deaths every year, hurts the regional economy, and without effective planning (including better bike infrastructure) it will only get worse. During the 1800s, Toronto faced a series of health challenges related to sewage. Outbreaks of diseases like cholera and typhus killed hundreds, helped along by polluted water and inadequate drainage systems. Privies, local rivers and eventually sewers were used to dispose of sewage and waste water. Lake Ontario served as both a dump for the city's untreated waste and a source for its drinking water. A good deal of sludge was also produced from agricultural and economic activity (think distilleries and pig farming) along the shore. Change came slowly. While residents could have the City build sewers on their streets, the process moved in fits and starts. Since homeowners who petitioned for sewers generally had to pay for their installation, wealthier areas tended to have them installed before lower-income residents – or renters – had access. By the late 1870s, the City's administrative powers grew. The City Engineer and Medical Officer of Health saw more pipe laid with less reliance on resident petitions. Public health also improved after the City took over drinking water provision from private sources (corruption scandals aside). Yet, while the size of the network increased, untreated sewage continued to be dumped into the lake, contributing to outbreaks of typhoid fever, diphtheria and scarlet fever in the 1890s. Council periodically debated extending sewer pipes further out into Lake Ontario, but with little agreement. The costs were too high, and councillors were reluctant to face the political fallout for adding to their constituents' tax burden to pay for any further expansion. Public health and the local economy were both hurt by this inaction. Besides the renewed outbreak of disease towards the century's end, silt built up in the harbour, preventing ships from docking and requiring dredging. Similarly, unpaved streets, often clogged with overflowing privies, had also stalled the flow of goods in Toronto up through the 1870s. It wasn't until 1908 that the city announced a permanent sewage solution. 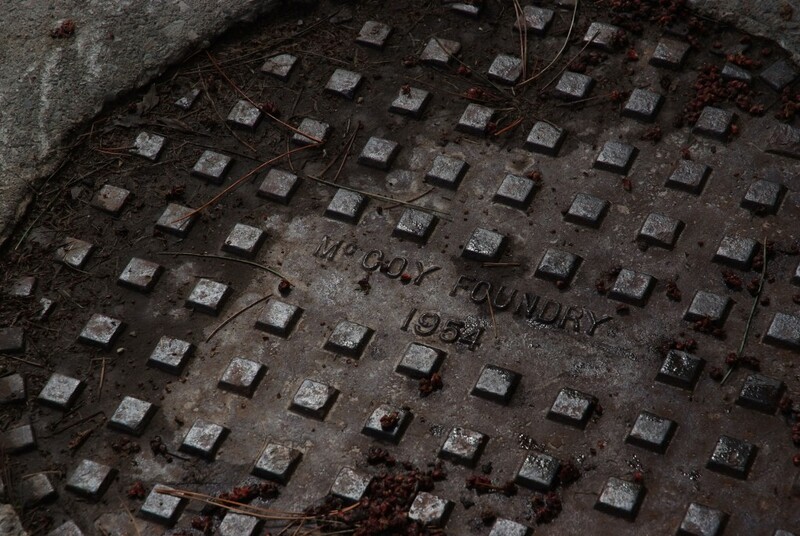 The combination of an improving economy and technological advancement saw Toronto commit to both sewage treatment and water filtration systems, completed in 1913. The treatment plant, a first for the city, was built at Ashbridges Bay and continues to operate. Why did it take over half a century to come to terms with the city's sewage problem? Historians cite the political unpopularity of higher taxes to fund public infrastructure as a key factor. Medical, technical and administrative changes by the end of the century helped support a more consistent approach, too. It also appears that the problems of disease and pollution (particularly in the harbour) grew too big to ignore. Fast forward to now and we can see similar patterns. There is little debate over the negative consequences of traffic congestion in the Greater Toronto and Hamilton Area, but also little agreement over how to address the problem. Public health officials from the across the GTHA estimate that pollution from traffic kills about 850 people a year on average in the region, while hospitalizing thousands. The City of Toronto reports about 280 premature deaths per year. The good news? Those numbers are down from the previous decade. 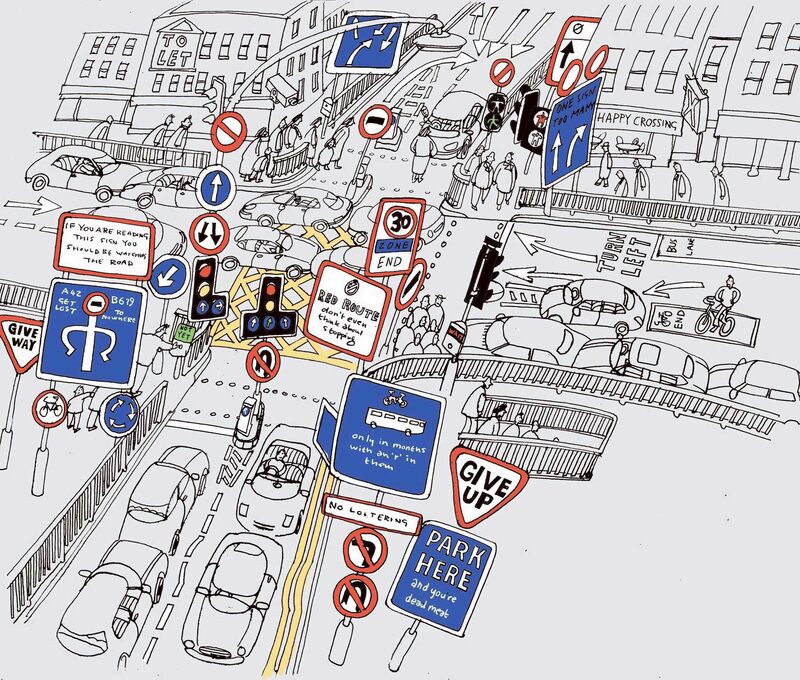 Image “Crossroads” Copyright: Hamilton-Baillie Associates, Bristol UK hamilton-baillie.co.uk From our dandySAFETY series. The apparent consensus on the extent of the problem breaks down when we start talking about solutions (not to mention causes) to congestion. In 2013, Metrolinx, the provincial agency charged with managing transportation in the GTHA, outlined several options for funding transit (in support of its now-languishing Big Move platform). These included an increase in the Harmonized Sales Tax for the region, a regional gasoline tax, a business parking levy, increased development charges and toll roads and/or lanes. At the time, only about 20 per cent of the Big Move's $50-million budget was accounted for, leaving a big question mark for its future. The provincial government, however, has decided to fund transit infrastructure through the partial privatization of Hydro One. Ostensibly more politically palatable, the move undercuts Metrolinx's financial recipe and for some critics is simply robbing Peter to pay Paul. Municipalities in the region also differ on specific projects related to transit and congestion management. Toronto has fought itself over Transit City, subway expansion and Smart Track, but has yet to settle on a firm plan. For its part, Brampton has rejected a provincially funded downtown LRT. It's clear that regional and local interests have yet to align. The good news is that despite the discord, transit projects are being built. Growth plans and sound research acknowledge we can't just add more roads the way we once added more pipe. We are also beginning to tie transit to broader questions of equity. Last year, Metrolinx and researchers from York University's City Institute published two reports (Switching Tracks and Next Stop Equity) tackling the issue. And more recently, Mississuaga is considering mandating that more affordable housing be built near transit lines. We also need alternatives beyond more transit, additional solutions such as cycling infrastructure. Switching to bikes when possible helps us directly as individual commuters, but can also produce many positive side effects. We still need to figure out how to fund and coordinate transit and bikes effectively to achieve regional reductions in congestion. Not only have the scale and complexity of managing infrastructure across the metropolitan region have grown, but so too have the stakes. We know that congestion is killing us. We also have the tools to fix this: bike lanes and transit investment can become the new sewers. If history is repeating itself, though, we need to act faster this time. John Saunders is dandyhorse's new managing web editor and newsstands manager. He likes to bike and is relearning some of the ropes as he rides through the city with his son. He also teaches and researches urban planning and infrastructure at three different universities in the Greater Golden Horseshoe, giving him ample opportunity to observe the region's transformation. Das Auto Auto: Can autonomous cars solve our transportation problems?